Imprint Fodor's Travel Publications Inc.,U.S. Martin E.P. 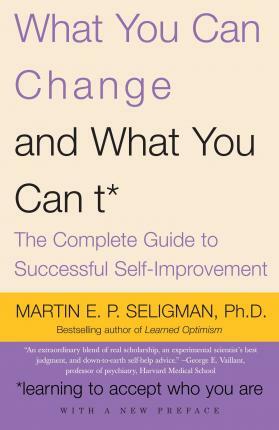 Seligman, Ph.D., professor of psychology at the University of Pennsylvania and a past president of the American Psychological Association, is a leading motivational expert and an authority on learned helplessness. His many books include Learned Optimism, What You Can Change and What You Can't, Authentic Happiness, and The Optimistic Child. Dr. Seligman's research has been supported by the National Institute of Mental Health, the National Institute on Aging, the National Science Foundation, the MacArthur Foundation, and the Guggenheim Foundation.